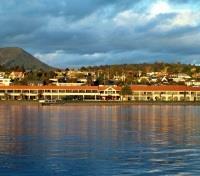 Go fly-fishing with an expert at picturesque Lake Taupo. 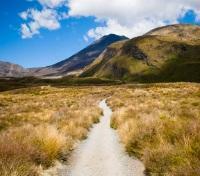 Make the famous Tongariro Crossing, one of the world’s greatest single-day hikes. 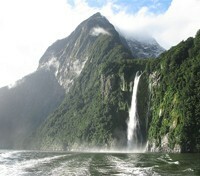 Cruise the serene glacier-carved fjordscapes of the impossibly beautiful Milford Sound. Explore the channels, chasms, and rock pools of the Dart River by jetboat. A travel advisory for New Zealand: You will not believe your eyes, but please do not be alarmed, all visual-processing issues are completely normal. Initial contact with the island country’s skyscraping volcanoes, stunning fjords, dazzling coastline, and lush green valleys can be overwhelming. New Zealand’s wildly contrasting landscapes are some of the world’s most beautiful backdrops for outdoor adventures, from fly-fishing to mountain hikes, from relaxing cruises to high-speed jetboats. Prepare to be astounded, again and again. 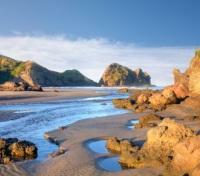 Experience the twin headlands of Matiatia and Church Bay on Waiheke Island. This guided walk is ideal for those who enjoy extended walks, and lasts approximately five hours. Upon arrival to Waiheke Island’s Matiatie dock, you will be meet by your private guide. After introductions, you will set out to qalk the headland track around the Matiatia headland and past Owhanake Bay which takes nearly two hours. On your way around the Matiatia headland, enjoy beautiful views of the Hauraki Gulf Islands, Great Barrier Island and the Coromandel; spot sea birds, native plants and, if you're lucky, orcas or dolphins. 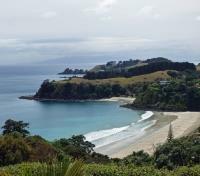 Learn about the history and ecology of the Hauraki Gulf and Waiheke Island, its conservation projects and island life. Stop for lunch at Oneroa Village or picnic on the beach - eat in one of the local cafes, order a lunchbox or bring your own and picnic on the beach. After lunch you will walk the Te Pio Rehiti Reserve and around the Church Bay headland through a sculpture park and a stunning bush reserve, past amazing homes, city and sea views which will take another two hours. Your walk ends back at Matiatia dock, at which time you are free to continue exploring or to return to your accommodation. 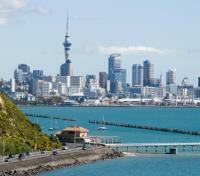 Board a flight in Auckland with service to Taupo. Approximate flight duration is 50 minutes. Please note, this flight is not included and must be purchased separately. 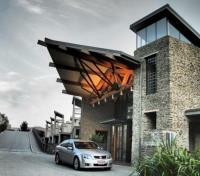 You will be privately transferred between Taupo Airport and your accommodations by a professional driver. Approximate travel time varies based on the location of your hotel, taking between 10 and 20 minutes on average. 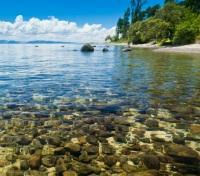 Picturesque Lake Taupo is located approximately one hour south of Rotorua, and is New Zealand’s largest lake. It is here at Lake Taupo where you will enjoy 4 hours of fly fishing accompanied by an experienced local fly fishing expert. 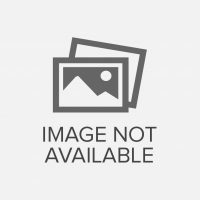 The expert will provide tips and techniques to best catch fish, as well as provide information about the best locations to catch a “Big-One.” You are required to obtain a fishing license, which costs 16.50 NZD per person, and is payable directly to the guide. 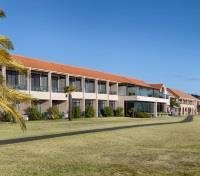 You will be collected from your Taupo accommodation by 4x4 wheel drive by your guide for your fishing experience. The tour accommodates two guests, with one fly fishing at a time, and departs 8:00 am and 1:30 pm. Set on the shores of the country’s largest lake, this is one of Taupo luxury hotels with uninterrupted views of the magnificent lake and mountains. Many of Taupo’s famous attractions are just minutes away, including Huka Falls, water and snow skiing, hot mineral pools, golf courses, and lake cruises. 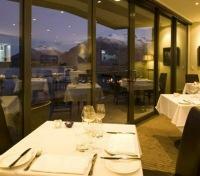 The charming Edgewater Restaurant is a superb choice for savouring award-winning cuisine as swans gracefully swim by. The resort has also been artfully decorated to create an air of glamorous elegance, and its heated swimming pool, private grotto plunge pool, sauna, and gym provide guests with leisure options right at their doorstep. 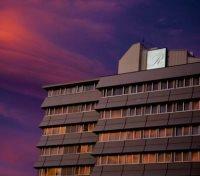 With 3 stylishly appointed event venues, 12 luxurious suites, and 39 boutique guest rooms, Millennium Hotel and Resort Manuels Taupo is undoubtedly the town’s most desirable location for events and vacations. Today you will be collected at your hotel at 8:00 am to begin the Tongariro Crossing Hike. Said to be the greatest one day hike in the world, the Tongariro Crossing is known for its unique, extraordinary landscapes – which were showcased in Lord of the Rings films – and its fascinating cultural significance. This 12 mile trail offers unrivaled adventure, while your accompanying guides provide interesting commentary regarding sacred areas along the way. Although this hike is very popular and a must-do for the intrepid traveler, it is important to understand this experience is best suited for those with a level of fitness capable of completing the eight hour trek over hilly and arduous sections containing uneven ground. Appropriate footwear and clothing necessary for safe tramping is a must. Board a flight in Taupo with service to Nelson, connecting via Auckland. Approximate flight duration is three hours and 35 minutes. Please note, this flight is not included and must be purchased separately. 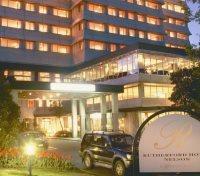 A private vehicle with driver will provide a transfer between Nelson Airport and your city hotel. Rutherford Hotel Nelson, located on the eastern shores of the Tasman Bay in Nelson, is the perfect base for your nature-based adventures. 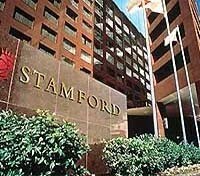 The 113 spacious and beautifully appointed rooms have played host to film stars, royalty, Prime Ministers and dignitaries. Visit Oceano for a complete breakfast to kick start the day, and return in the evening for the delicious a la carte menu. For those who feel like trying something different, visit Miyazu Japanese Restaurant for some amazing fresh seafood prepared by the Teppanyaki Chef! Port O’ Call bar is known for its exceptional service and its fine selection of beer, whiskey, wine and cocktails. Later on, enjoy a leisurely lap in the pool, relax in the steamy sauna, or workout in the gymnasium. Today, set out on a full day tour to enjoy Nelson’s glorious wineries and fabulous scenery and also pay a visit to the quaint and historic Mapua Wharf. This gourmet wine and scenic tour is an excellent introduction to the Nelson Wine Region, and includes visits to award-winning wineries on the Waimea Plains and the Moutere Hills. Waimea means “river gardens” in Maori and has stony soils of alluvial origin, high sunshine hours and a moderate maritime influence. The Moutere Hills are softly rolling hills that were formed from the weathered gravels of an ancient river system, which originally reached from St Arnaud to the coast. The gravel-threaded clay soils are renowned for producing wines of richness and texture. Both regions have a great reputation for the aromatic varieties of riesling, pinot gris and gewürztraminer, and their own distinctive take on sauvignon blanc, some exquisite examples of chardonnay and pinot noir, and superb stickies. Nelson wines are sold around the world, but here you have the chance to experience wines in the place they were created. Per hectare of vines planted, Nelson consistently wins more awards than the other region in New Zealand. Stop for a gourmet lunch at either a vineyard or another renowned local dining establishment, learn to taste wines like a professional, and possibly meet the winemakers and owners of the vineyards (subject to availability). 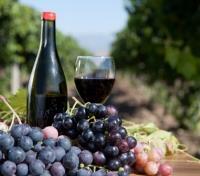 Sampling approximately 20 boutique Nelson wines will tempt the most discerning wine lover. As you travel between the wineries, cover over 60 miles (100 kilometers) of pristine scenery all while your experienced guide gives an informative overview on the local European and Maori history. Weather permitting, a short scenic walk can also be included, therefore comfortable walking shoes are recommended. 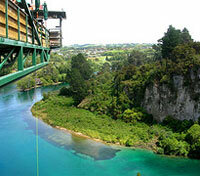 This tour lasts approximately six hours, with pick-up and drop-off from Nelson or Tasman accommodation included. 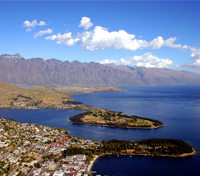 Board a flight in Nelson with service to Queenstown, connecting via Christchurch. Approximate flight duration is three hours. Please note, this flight is not included and must be purchased separately. This Funyak Safari is truly unique; begin by boarding the Dart River Jet Boat for an exciting 75 minute ride along the beautiful braided shallow river. 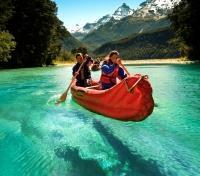 Disembark the Jet Boat and continue your aquatic adventure rafting in an inflatable canoe. After an instructional session, head out and be free to canoe and drift (under the watchful eye of the professional guide) for a two hours downstream, taking in all the awe-inspiring sights found amidst the Dart River’s shimmering channels. Stop among the ancient beech forest to enjoy a wilderness buffet lunch before exploring hidden side streams, rock pools and dramatic chasms including the beautiful Rockburn. Continuing onward, you’ll canoe downstream to what can only be called paradise, where a four-wheel drive coach will provide a transfer to Glenorchy, stopping to view the stunning scenery that has many inspired films worldwide. 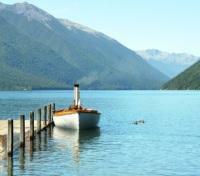 Upon completion of the tour, a return transfer to Queenstown is provided. Wetsuit and all equipment is provided, but please bring a swimsuit or spare underwear plus a lightweight wool or polypropylene vest (not cotton) to wear underneath. In the winter month you will also need thermal underwear, gloves and a warm hat. As well, please be sure to bring sunglasses, sunhat, sunscreen and insect repellent. You will also need cash for optional extras, such as photographs, films, chocolate bars and drinks. The area is very scenic and cameras are encouraged. This tour departs from Queenstown at 7:30 am, returns at 6:00 pm and operates with a maximum of 32 guests.